Heading out of Umpqua River Haven traveling west on Oregon State Highway 38, every inch of the scenery is breathtaking. We travel past the local volunteer fire station and 2 miles on into Scottsburg, quickly passing through town and onto one of Oregon’s historic bridges crossing the river. 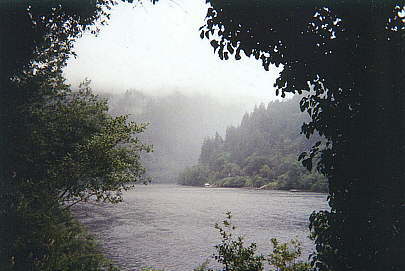 In winter the river is sometimes brown with its bottom having been stirred up by rains and water runs from the inland Cascade Mountains carrying along logs and debris. But in calmer weather the river is a distinct green. The river bottom is covered with a layer of rock on which water moss forms. Add that to the reflection of all the green trees on the mountain sides and you have a very pretty green river. When the sun shines it is literally dazzling. Two miles down the road after crossing the bridge is the Scottsburg park with a large parking lot for vehicles and trailers that have launched boats there. Grassy picnic areas surround the parking lot and there is a modern rest room facility. The locals often take their children and grandchildren to the park to swim. The traditional 4th of July Scottsburg Community picnic is held here each year. A bit further along the highway is the Umpqua State Park. A very pleasant place to rest and view the river though not as fully developed as the Scottsburg Park. Moving on down the road about 11 miles from Umpqua River Haven there is a turn off to go up to Loon Lake. This is a small, inland lake up in the Coast Mountain Range with a very nice public beach maintained by the BLM. 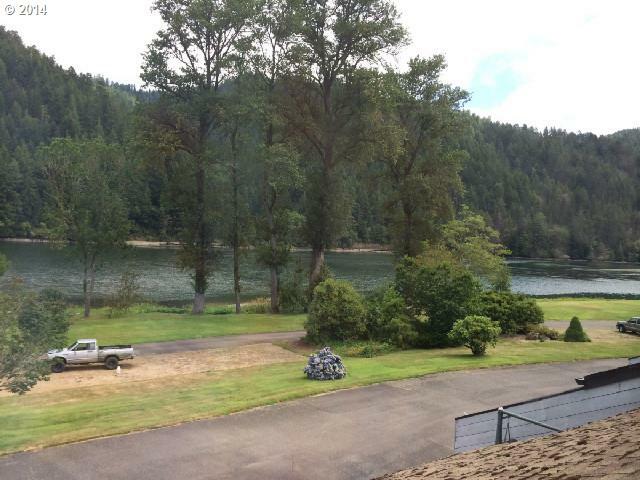 Boating, fishing, canoeing, kayaking, and swimming are all available at Loon Lake. Stop in at the lodge for a sandwich. 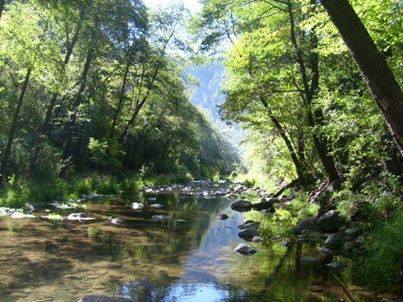 The drive up is a few miles from Highway 38 and traverses along the picturesque Mill Creek. The photo at the top of the page shows a river barge dredging the river bottom for rock. Periodically rock is removed mostly for commercial purposes and you can see the barges doing their job. When traveling this highway during the rainy season, many small and sometimes not so small waterfalls appear along the mountain sides. It can be quite spectacular to come around a curve and see water splashing downward toward the river. Four or five miles from the coast is Brandy Bar Landing. These long established condominiums are on the river with fantastic views. Coming close to Reedsport on the Coast we find the Dean Creek Elk Preserve. Seldom do I pass without seeing the largest elk in the world—the Roosevelt Elk. They are beautiful animals. At the right time of year they can be seen locking antlers vying for position in the herd. Mostly they are peaceful grazing on the lush grass. There are several places designed for viewing and picture taking. Do be careful on the highway here as the elk are not hampered by fences and occasionally can be found lunching alongside the road. 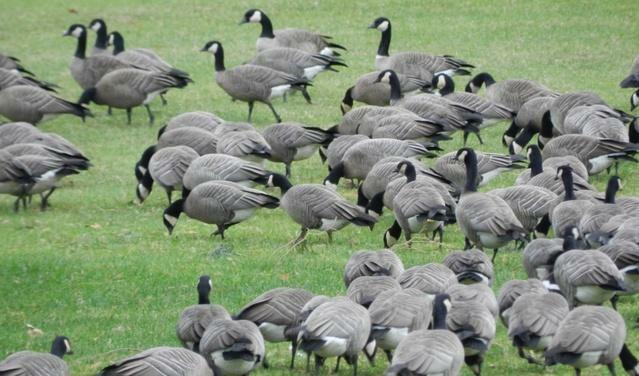 Here, too, are found the Aleutian Geese from both Canada and Alaska. They migrate here in abundance during cooler months before flying north in warmer weather. Our 18 mile road trip concludes when we reach the coast town of Reedsport. 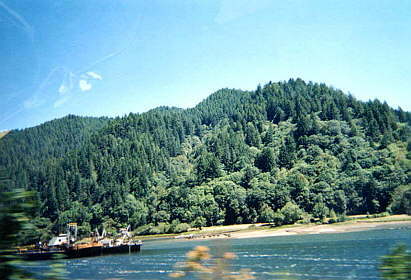 Reedsport was built on the Estuary of the Umpqua River which was partially filled with sand to create the town along the Southern Pacific Railroad line extending to Coos Bay. It was a camp for railroad construction workers and also has a long history with the timber industry. 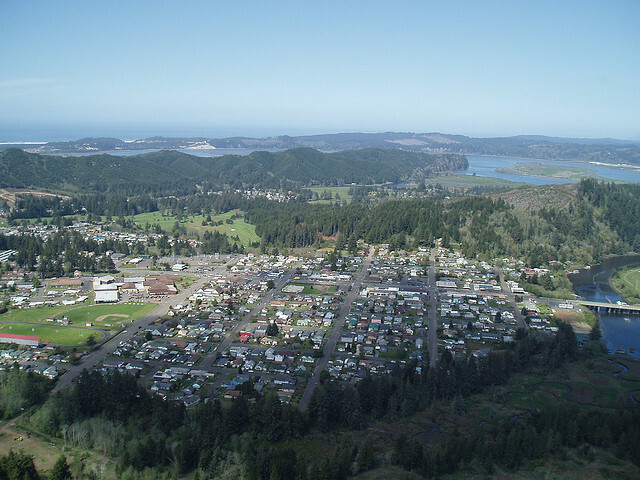 Today Reedsport thrives with tourism, is a sea port mostly for repairing boats and boasts two grocery stores, a hospital, an Old Town District with antique stores and a variety of restaurants and motels. It is a quaint, small Oregon Coast town that is part of “Dune Country” and is fun to visit. One of our favorite places to visit in Reedsport is Mumbly-Peg. Mumbly-Peg stocks cutlery and collectibles and buys and sells gold and silver jewelry. The owner is fun to visit with and has many stories to tell. 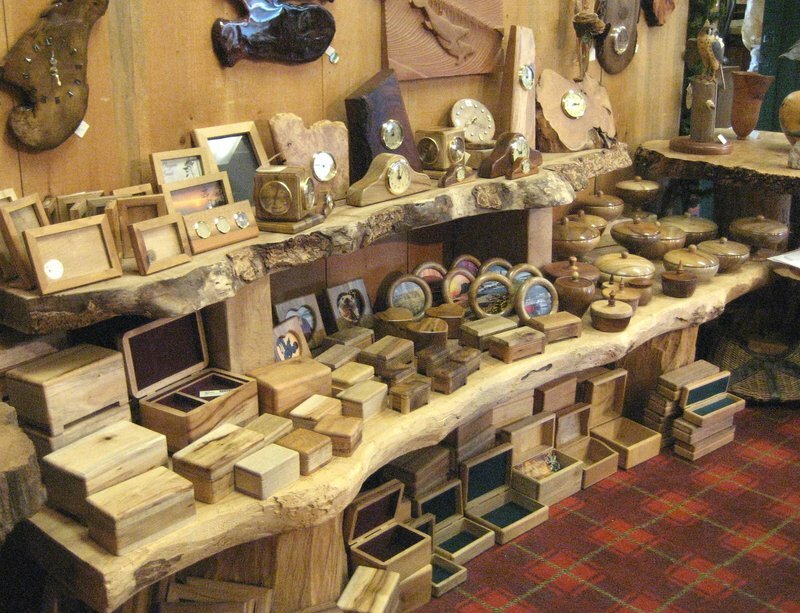 We also like the Myrtlewood Gallery with its unique display of all things Myrtlewood. Some of it is made right there on site. More about the unique and rare Myrtlewood trees of Oregon another time. These are just two of the interesting places to visit in Reedsport on the Oregon Coast. This entry was posted in Uncategorized and tagged antique store, drive, elk, geese, grocery, Highway 38, knives, Loon Lake, motels, myrtlewood, park, Reedsport, restaurants, Travel, Umpqua River, waterfalls by Maggie. Bookmark the permalink.